Tony DiTocco received his Law Degree and his Master’s Degree in Accounting from the University of Florida in 1988. Since 1989, Tony has established himself as a leader in the South Florida business and legal communities. For 18 years, he served as Chief Executive Officer of a large construction / development firm, where he negotiated and resolved hundreds of millions of dollars of commercial business transactions and disputes. 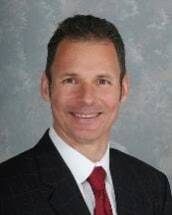 Since 2007, he has served as the chief negotiator / corporate counsel in the closeout of over 500 distressed condominium units, and as Managing Member of the DiTocco Law Group, PLLC, where he has used his huge wealth of experience to personally counsel hundreds of individuals and businesses through Chapter 7 debt relief strategies.